It looked like AVC ran out of gas at the beginning of 2nd half and AVC was down by 20. Then they caught fire and lost by 8. Compton crushes Grossmont. Goes 2-0 in tournament and faces AVC TOMORROW. When you look back at a losing game’s statistics after a good night night’s sleep, the game you saw the night before looks a bit different than you remember. It’s been a few years since I have seen a JUCO team bring in six university players(UC Riverside D1), (UTEP D1), (Penn State D1), (Army West Point D1), CSUDH D2 and Academy of Arts(NAIA) which put last year’s starters on the bench. East Los Angeles did that it this year. Its a talented team. Adding to the talent, add size as well; Three 6’9″, Two 6’8″, Two 6’5″, One 6’7″. With this talent and size, you would expect ELA to win every game by 25? But, AVC was leading by 9 points in the second half and it took shooting 91% from the free throw line by ELA to win the game. AVC team played an excellent game. 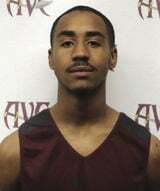 Now AVC will take on undefeated home team San Bernardino, #6 who beat Grossmont by 47…117-70. Is AVC ready to bounce back after it’s tough loss?